Staff, vans and removals services covering the entire South West. 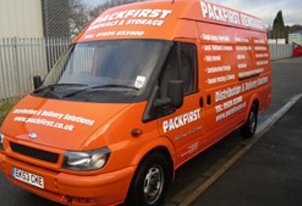 Packfirst Removals can offer any and all services to customers in Plymouth city and surrounding areas. Whether it’s a budget man and van hire that you require or a full, pack, clean and removal, Packfirst should be your first call. With hundreds of satisfied customers in the Plymouth area, Packfirst boasts an impeccable record for customer service and satisfaction. Always available for a free consultation and flexible with times and dates, we will show up on time and fully equipped to handle your requirements. With a smile from our friendly and expert staff, you will not be disappointed with our removals and personal, bespoke delivery services in Plymouth.